Washington – The U.S. Department of the Treasury's Office of Foreign Assets Control (OFAC) today extended further the expiration date of certain general licenses related to EN+ Group plc (EN+), United Company RUSAL PLC (RUSAL), and GAZ Group (GAZ). These General Licenses 13H, 14D, 15C, and 16D amend their previous versions by extending the expiration date from January 7, 2019, to January 21, 2019, for transactions related to the companies and their subsidiaries. On April 6, 2018, OFAC designated EN+ and GAZ for being owned or controlled by, directly or indirectly, Oleg Deripaska and other entities he owns or controls. In that same action, OFAC designated RUSAL for being owned or controlled by, directly or indirectly, EN+. "EN+, RUSAL, and GAZ are proposing substantial corporate governance changes that could potentially result in significant changes in control of these sanctioned entities. 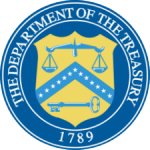 In recognition that the review of these complex proposals is ongoing, OFAC is extending the expiration date of related general licenses until January 21," said a Treasury spokesperson. View General License 13H, General License 14D, General License 15C, and General License 16D and information on today's action.